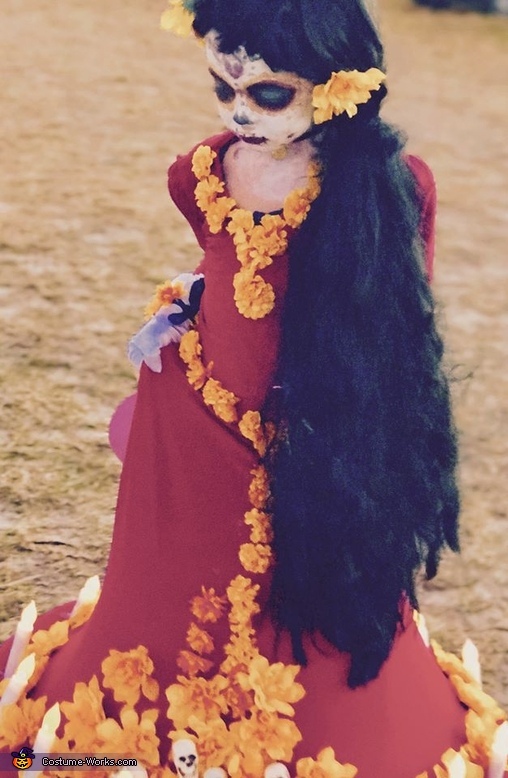 My daughter Lucy is wearing a home made La Muerte costume from The Book of Life movie. My mom made it sewing the dress, gluing flowers and skulls. A hula hoop at the bottom and gluing a base around the hula hoop as a base for the candles. The hat also had a base glued to it to add the candles, plants and feathers. Lucy picked it and my mom made it. She is her muse.